Fast forward four years into her incredible journey, Aaliyah Shodeinde, ’17, has achieved stunning academic success at Lafayette. 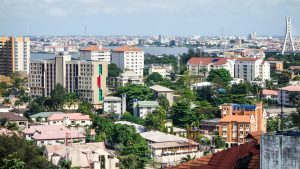 In addition to the usual adjustments that college students must make when they leave home for the first time, Shodeinde also faced profound cultural differences. “Assimilating was quite difficult because I had to—all of a sudden—create some kind of an identity for myself. Back in Lagos, I was just Aaliyah. Maybe I had to identify by my tribe which is Yoruba, but this was never highlighted to a significant degree due to the fact that my last name reflects my tribal affiliation. In America, things are significantly different. “My move to Lafayette made me very aware of how few people simply looked like me in my classes and in my future career, too. Most importantly, it helped strengthen my resolve to encourage, to the best of my ability, younger individuals who may feel intimidated to pursue their dreams,” she says. In recognition of the excellence she has achieved, Shodeinde adds the Dr. Eugene DeLoatch ’59 Excellence in Science and Engineering Award for 2017, which is given each year to a senior with outstanding academic accomplishments. When she arrived in Easton, Shodeinde wanted to be a chemical engineer, hence the major in chemical/biomolecular engineering and a minor in biotechnology. After all, her homeland draws its greatest income from petroleum, oil and gas. It only made sense that to get a job she would prepare to work for the likes of Exxon or some other multinational oil and gas corporation. She applied to Lafayette but did not expect a reply. By the time the acceptance letters began to roll in, she actually forgot she even applied to Lafayette, she says, and committed and paid a deposit to the University of Virginia before receiving the letter that invited her to matriculate on College Hill. “The letter from Lafayette was so much more personal,” she says, so she forfeited her deposit to the southern school and set her course for the bucolic beauty of eastern Pennsylvania. It was not long before she knew that her decision to study at Lafayette was the right one but questioned her choice of majors. She shared those doubts after her first semester with her then-advisor Dr. Lauren Anderson, who invited Shodeinde into her biotech lab. Anderson, who holds a Ph.D. in biotechnology, explained that blood flow and bodily functions also could apply to chemical engineering. “I read Dr. Anderson’s papers and shadowed her for two semesters. Her interest is drug delivery, and it grabbed me,” Shodeinde says. 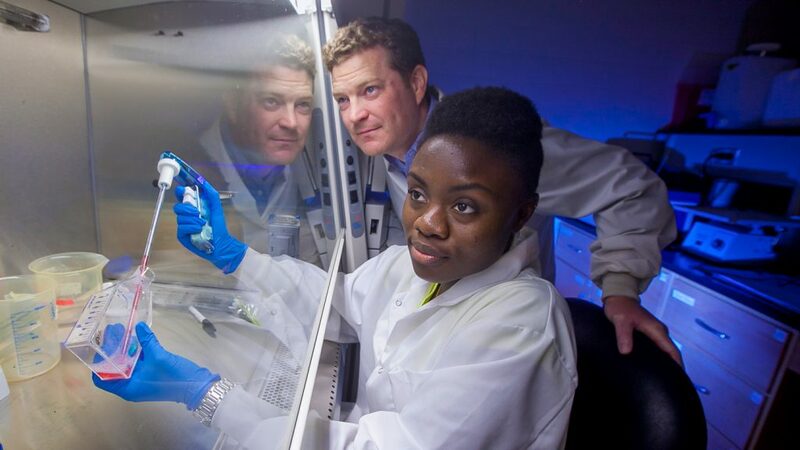 Aaliyah Shodeinde ’17 works on cell culture preparation in the lab with Professor Chris Anderson. Another Lafayette mentor, Dr. Christopher Anderson, introduced Shodeinde to silver nanoparticles. So while keeping her major but changing its focus, Shodeinde’s long-term goal is now to work for a pharmaceutical company. Her undergraduate research has exposed her further into the depth and variety of drug delivery and what the nanoparticles do to cancer cells. Indeed, exciting research opportunities were the deciding factor in her decision to continue her studies in a 5-year doctoral program at the University of Texas at Austin. The wins and challenges of the past four years have allowed her to embrace the truth that her voice and perspective are valued and valuable. And she believes in paying kindnesses shown forward. “Being a role model for me is quite difficult because I’m still undergoing a lot of growth,” she says. “… I have developed relationships over time that have allowed me to discover the importance of mentorship especially for minority students who may have struggles similar to what I once had.